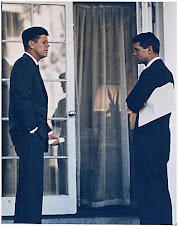 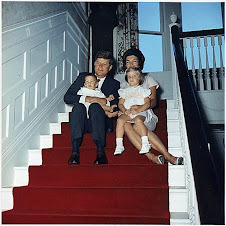 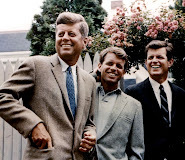 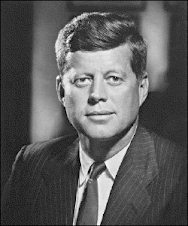 Justice For Kennedy: Does it look presidential now if he needs to be surrounded by the Secret Service? 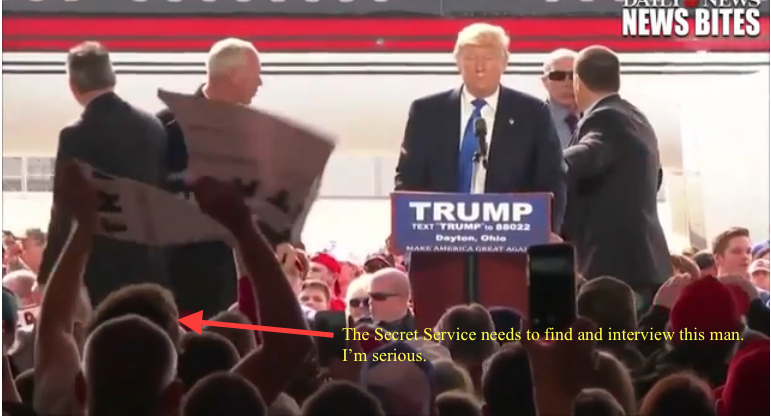 Does it look presidential now if he needs to be surrounded by the Secret Service? 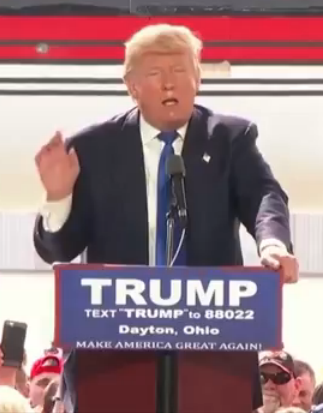 Trump is playing us all like a three dollar fiddle. 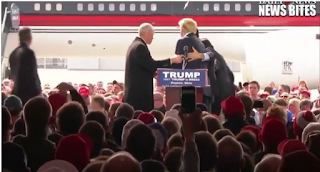 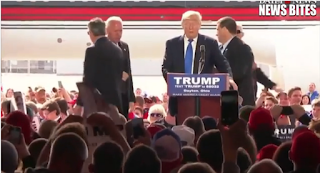 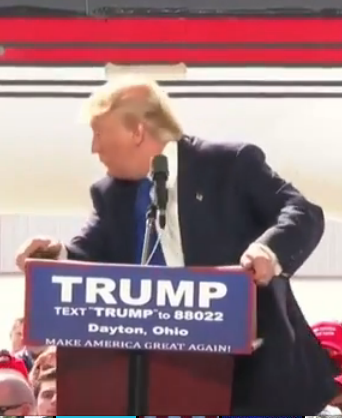 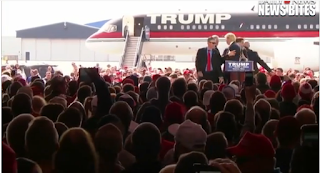 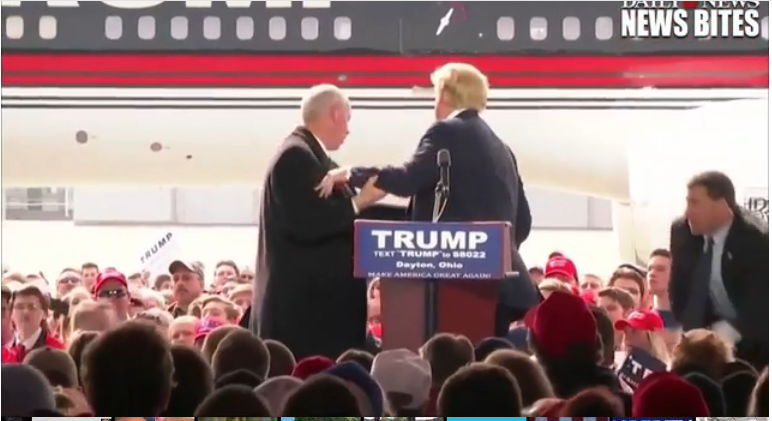 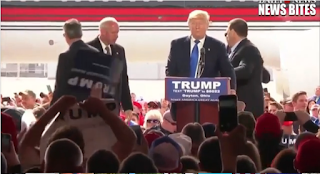 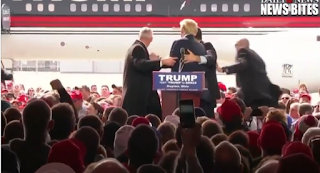 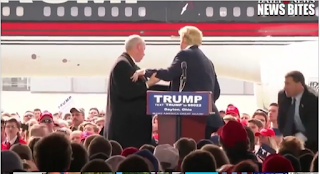 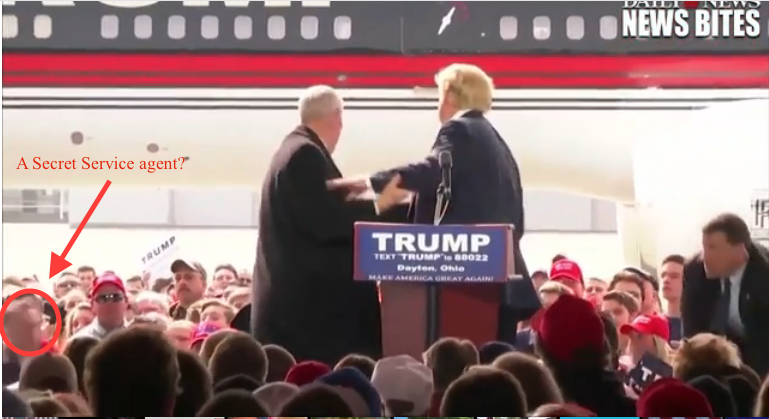 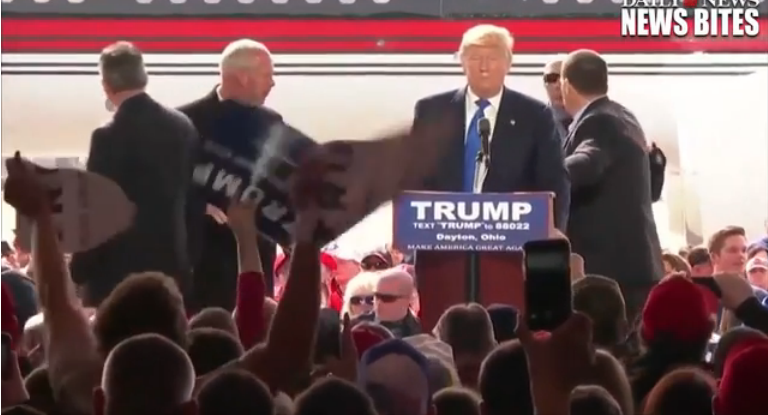 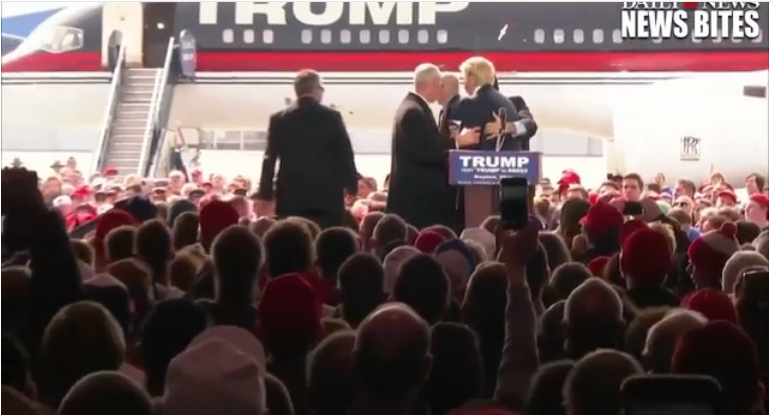 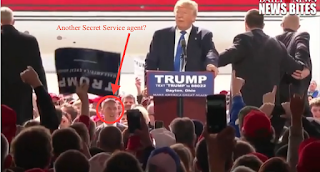 At an event in Ohio the Secret Service leaped into action to surround Donald Trump in reaction to someone screaming behind the presidential candidate. 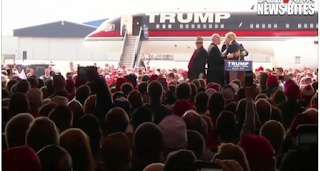 He spoke at an airport hanger with a plane with the name Trump on it behind him. 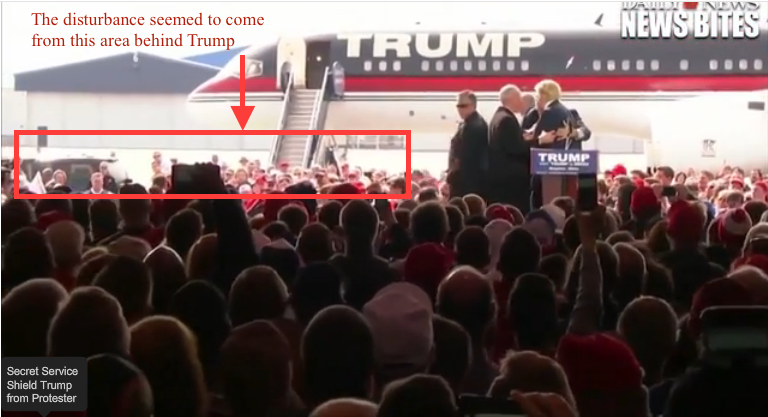 Between the plane and the stage there was a crowd of supporters, and then there was a crowd in front of him as well. At one point someone behind him seems to scream and Trump seemed startled and scared and he turns around to look behind him. 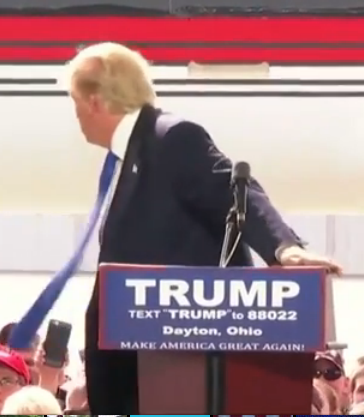 He grabbed the podium with both hands as he turned. Secret Service men rush in to surround Trump. A third Secret Service agent comes onto the stage. 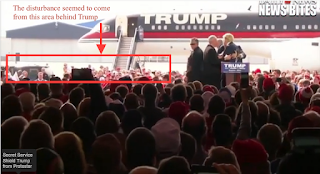 And he looks as if he was going to dive into the backstage crowd. 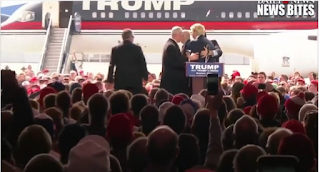 And another Secret Service agent comes onstage. 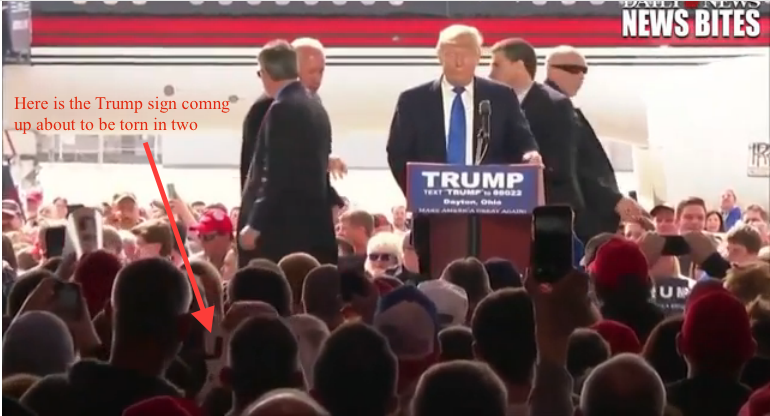 The camera pulls back and we see more of the crowd. 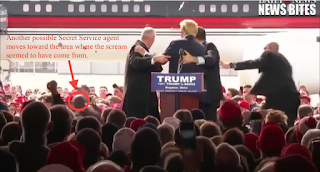 There is still no indication who screamed or why. There doesn't seem to be any action by anyone to investigate or react to where the startling scream came from, which clearly came from behind him. 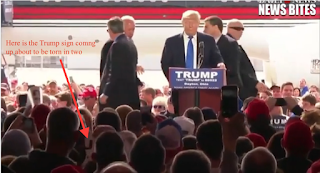 No one seems to be screaming anymore, no one seems to be questioned, no one seems to be arrested, or resisting an arrest. Trump seems to think he's not in any danger now and returns to the podium. 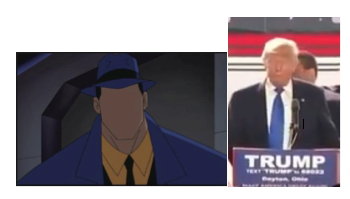 something. In the frontstage crowd there is someone who lifts up a Trump campaign sign and tears it in half. I find this man's actions to be worthy of investigation. 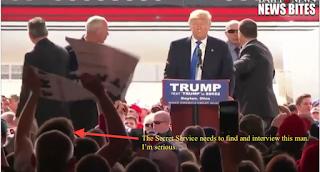 It's very odd that he would tear up a Trump campaign sign in such a way as Secret Service agents rush in to protect Trump. 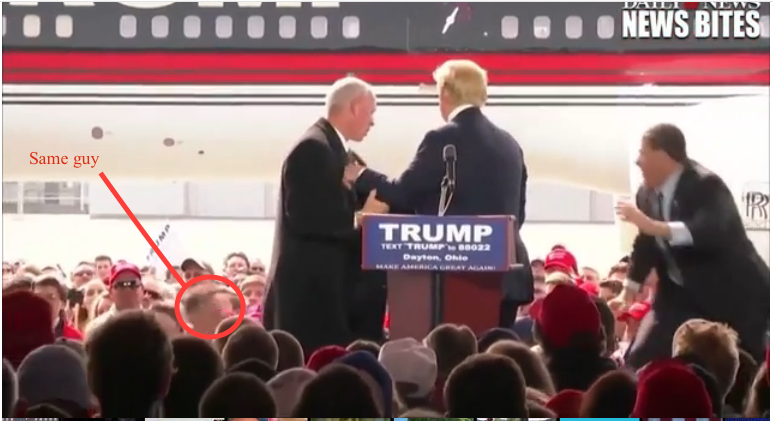 This man coming into view in back of the stage maybe a Secret Service man. Whoever he was he moved very fast. After the above frame he seems to completely disappear. 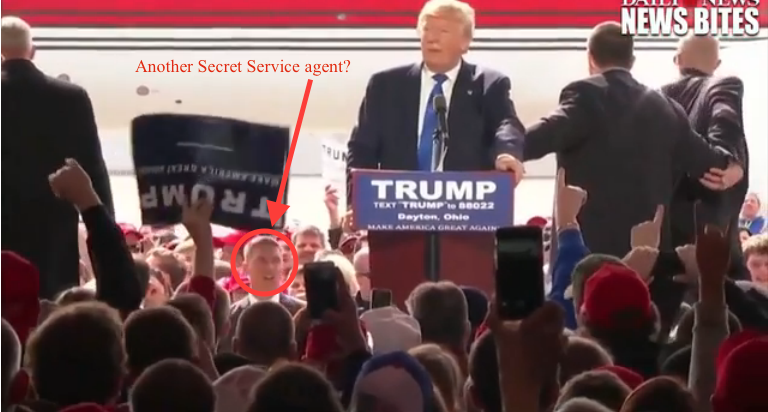 Another possible Secret Service agent runs towards the disturbance. While another one comes to the back of the stage. 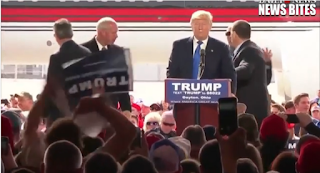 Returning to the podium Trump ask the crowd, "By the way, is there anything more fun than a Trump rally?" 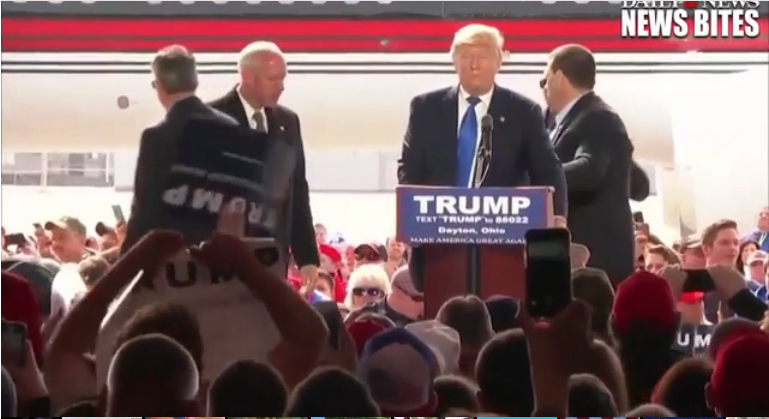 They shout, exhilarated, "No!"